Your computer is simply using the wrong resolution and the wrong color depth. Launch the Startup Manager from "Menu->Administration->Startup-Manager". In the "Boot options" tab, change the resolution to something your monitor can handle (1024x768 is usually enough for the boot screen to look nice). Change the color depth to "24 bits"
mintconsumer	 On LM9 it is possible to simply remove the Plymouth package. This results in a text-based "splash screen" with "linux Mint 9" and running dots underneath. It looks fine on all notebooks in both live and installed mode. I wish it was possible to simply uninstall Plymouth on later distros, since it is a redundant package wasting space and clock cycles. mervg	 This is SO outdated. Sir_Douglas	 How do we improve on 1024 X 768 to fit wide screens of better resolution? sserbanro	 This tutorial applies to?!? What Linux version? What DM/WM? Theming a DM is one thing and using a DIFFERENT OS VERSION, is something else. You are assuming that all users work un your computer? Be more specific, please, there are thousand of configurations and machines and each app behaves differently on a different BIOS, CPU, and so on. For instance, I have a different version of Mint, with OpenBox+XFCE (Yeah, a melange...), different menus, different items under each menu, lack of color depth settings, refresh rate and resolution. kherring7383	 When I installed Mint 14 and then updated my Nvidia card driver the Mint Splash was no longer visible. As a fix, I applied the following script and set the resolution to 1024x768 and the color depth to 24bit. mideal	 24 bit colour depth for the small Mint logo is kind of a joke, isn't it? mysoomro	 I tried to follow the tutorial, but settings in my system were a bit different. In my system, Linuxmint 13 XFCE, it's in the Settings->Session and Startup. And it doesn't give any option for changing the resolution. But I didn't need it because my system already uses the optimal resolution even in Plymouth. grimdestripador	 Q: What if on booting from DVD (1st time installation), you got a blank screen? A: Your monitor on your laptop is in sleep mode. Press the F-key associated with increasing your brightness, this will turn your screen on. Also Ctrl-Alt-F1, then Ctrl-Alt-F7 would also accomplish this. major	 What if on booting from DVD (1st time installation), you got a blank screen? I posted a workaround as a comment on a idea "Change startup splash screen" a few days ago. Please refer it if you are interested in. 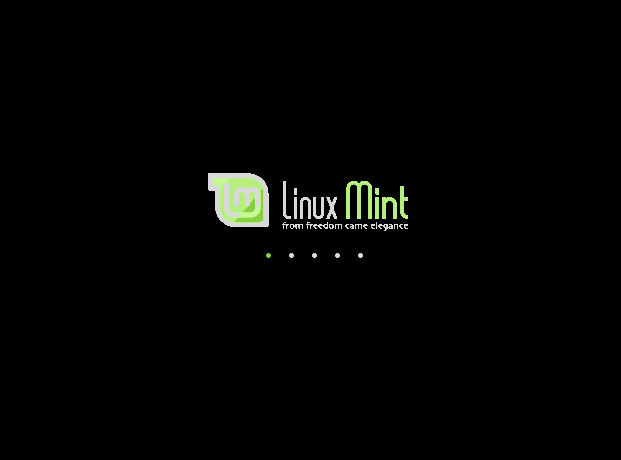 machanch	 I have installed Mint12 on my desktop, I cannot find Menu > Administration >... The System Tools Menu contains (Config Editor, GDebi Package Installer, Power Statistics, System Monitor, System Setting, UXTerm and XTerm).. The GDebi Package Installer when launched does a loading, but does not display anything. Ok I have had a good look through the various menus and the administrative apps are all associated with the Menu 'Other'.. I would not have thought to look ther for such an important set of application. I think something more descriptive of those application should be used.. Like 'Administration' as mention here in these comments..
reg71	 Agree with saintdanbert. Just installed, launched tutorial from startup screen on desktop and the tutorial doesn't apply to this version. saintdanbert	 I'm running Mint-12. I don't have a Menu-->Administration anything !! (There is no Administration item on the page that appears when I touch the gear-icon, Menu button on the bottom left of the screen. If a tutorial is specific to a given edition of the distro, then the tutorial might be better if it said so at the top. That should give you the options listed above. rustong	 How do I find the Startup-Manager in LXDE? Where is 1280x800, 1366x768, 1920x1080 in Julia? RavS	 Did use this once. Thanks! I just thought this tutorial is still relevant to users except Katya. This tutorial should be updated to latest content based on the present state. Please forgive me for my stupidity, my friend! blueXrider	 I think we should not forget there are not only Katya users but also Julia / Isadora / and other releases users here. Kazz, Should I have been more specific? WE NEED AN UPDATED TUTORIAL FOR JULIA AND ISADORIA PLUS KATYA. I'm sure Mr. Clem is aware that this information is out of date. Don't want to be a B***h here. I think we should not forget there are not only Katya users but also Julia / Isadora / and other releases users here. Kim_Kusanagi	 Erm... Linux total n00b converted from Vista over here. I noticed today that I was having the first screen after installing the nvidia drivers two days ago (I usually let the computer do everything without paying attention until it reaches the login screen). So, I decided to run this procedure and it worked almost flawlessly, except that after the boot sequence runs out, but before the login screen appears, an "error" message shows on screen during what seems to be a couple of seconds, so I can't read it clearly, but it also worries me. What could this be and how could I fix this, in case anyone has experienced this? Thank you and see you soon. 99er	 That was quite helpful, thank you very much. dreamtrip	 A good crisp tutorial. One that would encourage even the newest of newbies to experiment with Linux and highlights its customisability. good job. sdim	 Fixed.ALT+F2-->Startup manager, do it from there. sdim	 OK, that works in Gnome, but what do we do in KDE? Where are the settings there, to fix this? how can i restore the screen back to its original state . gregzeng	 Hope this works on my portrait 24 inch screen. Win7-32, Ubuntu, Super OS do. Trying the various versions of Mint. I want to choose which op sys, cos they all use the NTFS-3G compressed partition in the extended partition. The 20 gb root partion, Grub, Win7-32 are the other 3 partitions. The extended contains my mount (256 mb) and data partitions (400+gb). Tonya	 Thank you very much! Looks good! LizardGamer	 This is great, but this problem has to be fixed! KirkM	 This has always worked for Linux Mint Main Edition (Gnome) but unfortunately does not work for LM 10 KDE RC. Doesn't seem to have any effect at all. Not that it affects the actual function of booting up and shutting down, it's just a bright blue screen is hard on the eyes. Running the latest "Recommended" Nvidia driver for a Nvidia GT 220.
mikefreeman	 Any chance of this fix being included by default in the next release? I've had to do twice so far (Isadora and Julia), and it's getting a little old, not to mention it looks bad to those who are trying Mint for the first time. Perhaps something that detects your hardware and adjusts the startup resolution settings when you install the system would work? dances1000	 Any tips on changing the boot splash animation. Let me know. Pm me. Ehecatl1138	 And this is how should be do it! THX!!! MyLinuxMint	 Great write-up! Easy to follow! grey1960envoy	 I am surprised at how different it looks and I thank you for helping me get rid of the text at start (I must have made an error when I was setting up the start up page etc.)! dwpbike	 excuse my ignorance. i was in a rush to address resolution between power cycling laptop when video disappeared. it does look better when booting to blank screen. and i now know to head to forum. oh, and this is dell inspiron 1100, a32 bios, 1gb ram. sythe	 This will be fixed by Mint 10, right? ktymint	 Thank you very much. justin	 @devon8 this is not a help forum, see the comment below from @clem. You should be posting your queries in the relevant part of the Linux Mint forums or finding support in the IRC channel. devon8	 I have a problem trying the Live CD as all I get is the dot screen then it all goes blank. There doesn't seem a way to adjust screen resolution from start up. Running Helena 8 on Dell Inspiron 510m currently ok using 640*480 with Compiz. Not sure how to adjust up to 800*600 or even if it will do it. This isn't the place to get support. We do provide CD images. We do not sell discs. To get a refund, please contact the company who sold this disc to you. You should check the integrity of the disc before asking for a refund. seanearlyaug	 I bought a Mint 9 disk. I did this to get a clean and dependable install. I got this problem, just 5 dots showing. I can not access the OS. The disk and the OS seems worthless. CD not DVD be available? My other machine does not boot off of CDs, neither machine boots off of USBs. Is there a way to go from DVD to whole system with out booting? genoskill	 thank you very much, man. This tutorial seems to have worked well. However, is there any way to adjust the refresh rate of the grub screen. I'd like it to fill the screen, but it is a green box with black borders. To be clear, I'm speaking of the screen where you choose operating systems (I'm dual booting). Just installed Isadora 9 64 last night. jkw	 I did some changes in the startup manager, with my nvidia card, which resulted in a re-install. So beware of what you're doing if you're going to attempt it. Open a Run box with Alt+F2, enter gksu gedit /etc/default/grub and click Run. In the editor find the line #GRUB_GFXMODE=640x480 and delete the leading #. If you want a higher resolution you can change the value after the =, but I recommend you stick to one of the common resolutions 800x600, 1024x768 or 1280x1024. You can change the colour depth by added it to the end of the value as in x32 for 32 bit colour. Ensure your monitor is able to handle the resolution you set or you will probably get a black screen. Now add a new line after that one with the value GRUB_GFXPAYLOAD_LINUX= setting the value after the = to the same as you used before. Once you've made the changes save the file and exit. enter your login password when asked. If all goes well it should generate a new grub.cfg file and end with the line done. That's it, reboot and check if it worked. desQEDo	 Works perfectly on a Dell Mini 9. Only the Mini 9 resolution setting 1024x600 is not available. Nevertheless 640x480 @ 24 bit color depth looks fine. I have Show boot splash and Show text during boot, under Misc. unchecked. Except for WLAN driver everything worked "out of the box" but even that driver was offered and installation worked perfectly loaded by wired LAN. pazuzuthewise	 With the fix provided by this tutorial, it works perfectly on a PC with Radeon HD 3470 with the KMS driver. The only problems are those that remain with the KMS driver per se, the horizontal lines visible on dark background, and the increase in temperature. spocky184	 Works perfect after Nvidia Driver installation on a Zotac MAG Mini HD-N01. Set the resolution to 1280x1024 and 24bit. Thank you for that hint ! tux-sven	 On my Asus Aspire One D250 I changed from 8 bit color deep to 24. After that I got serious problems starting the computer. I changed it to 16 bit and it starts. My resolution is set to 800x600. 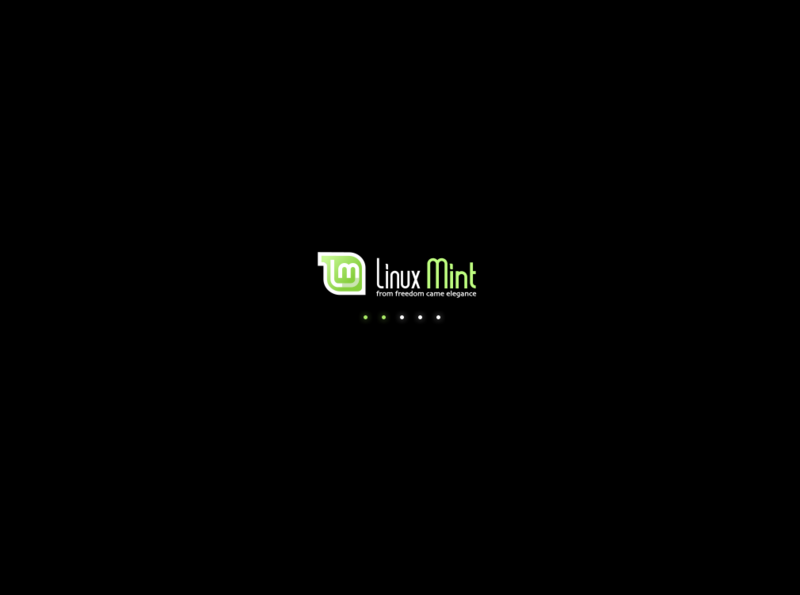 It only shows the Linux Mint logo for 1 or 2 seconds and then it's a black screen until the green login screen appears. I have marked "Show boot splash" but it's still black until the green login appears. ?? "(process:183 GLib-WARNING getpwuit_r():faliled due to unknown user id (0)" was sometimes possible to see when I had trouble with starting (24 bit). linuxmint	 Nice tutorial. This will be useful to all users and like anyoneelse said, we should have mint set the settings itself. npap	 Yes! That did it. The resolution was originally preset at 800x600 at 8 bits. After resetting it to 1024x768 24-bits, the splash screen looks good and there are fewer crash instances. topjolly	 Will there be widescreen resolutions included in the final release? jatwood	 Thanks for the info on the better resolution. I figured that it would be corrected on final releases since it's listed as a known problem on the RC, but nice to have a way to correct now. anyoneelse	 I think it would be better if you make Mint set this itself. kneekoo	 Thanks for the tip. It's just that I get that image on my live CD boot with my Gigabyte Radeon HD5770. On ASUS EAH4350 Silent it looks just like in your second picture. I can't say I enjoy adding vga=xyz to the boot sequence simply to improve the splash screen image from a live CD. I hope there's a better way to detect the graphics cards and set them up properly because it's an ugly first impression.